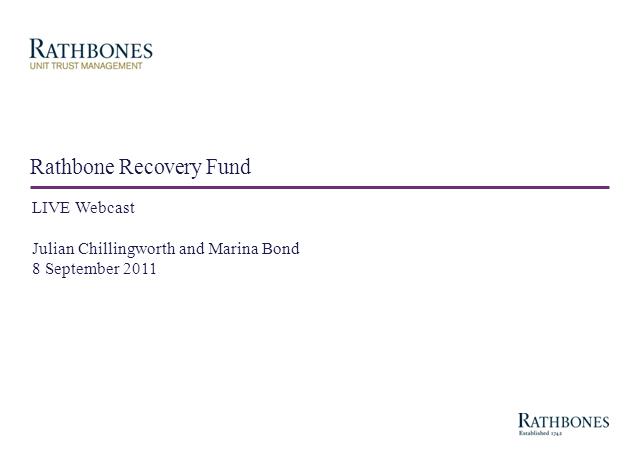 Respected market commentator, CIO and fund manager at Rathbones, Julian Chillingworth, gives his take on the outlook for recovery in the economy and for the Rathbone Recovery Fund which has grown to £69mn since its launch over two years ago. He will be joined by co-manager Marina Bond. •What parallels can be drawn between the current financial crisis and the events of 2008? •The approach and process being adopted in selecting recovery plays.